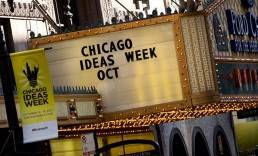 For one week each October, Chicago Ideas Week (CIW) brings together some of the world’s most prolific speakers to share their entrepreneurial perspectives and inspire the innovations of tomorrow at more than 130 talks, lab sessions and tours across the city of Chicago. Through the melding of artists, engineers, technologists, inventors, scientists, musicians, economists, intrapreneurs and other passionate explorers, CIW aims to be the platform for sharing big ideas and making big things happen. 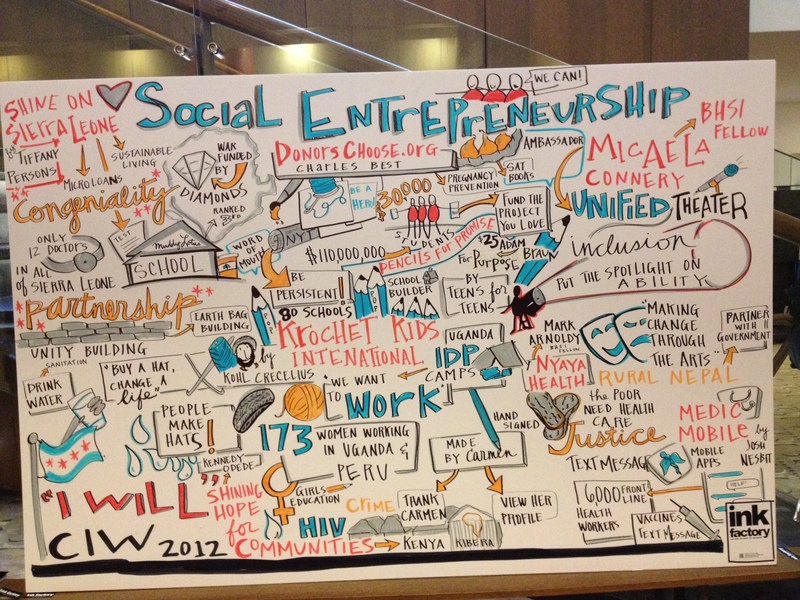 It was my first year attending CIW events and my experience was in a word – spectacular. The quality of the sessions, the people that I crossed paths and rolled up my collaboration sleeves with made for one of the most enriching weeks I’ve spent in the Windy City since transplanting here a little over two years ago. After 4 labs, 3 talks and 2 tours I walked away with a broader sense of the entrepreneurial movement that has been building across our nation and larger world. We are now living in the Do-It-Yourself (DIY) economy, where the skills, communication, investment and technology platforms are readily accessible to create and explore new business models in ways yet to be imagined. If the 20th century was largely driven by the Information Age with the meGeneration, then I expect that the next 100 years will be defined by the iGeneration, taking us into what I would call the Collaboration Age – which will be characterized by patterns of crowdsourcing, crowdfunding, coworking and connected enterprises. Today we are seeing the beginnings of this shift take shape in nearly every industry – from manufacturing to retail to politics to education. The net outcome is a completely new culture that operates on a dynamic flow of ideas and more fluid approaches for testing and morphing new concepts into practical everyday realities. Innovation will no longer be the privilege of the few, the obscure – it has become the inheritance of the every man and woman. 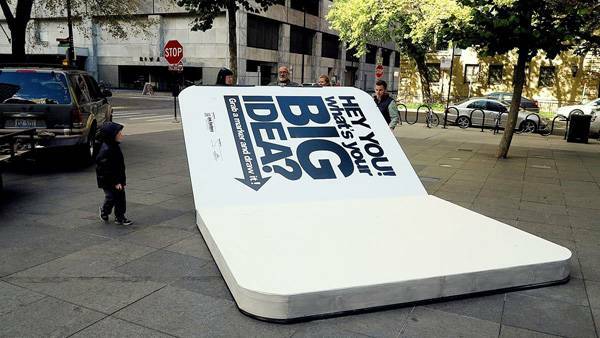 For more on Chicago Ideas Week – check out my other posts from CIW 2012 plus some of the terrific graphic info-documentaries by the team from The Ink Factory – you can download them for free here. Previous: SMWChicago12: SMW Party Experiment – Analog vs. Digital, Who Trumps Who?